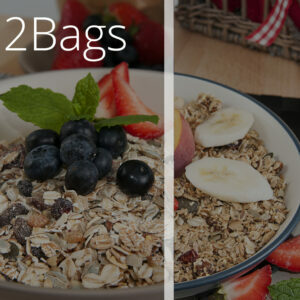 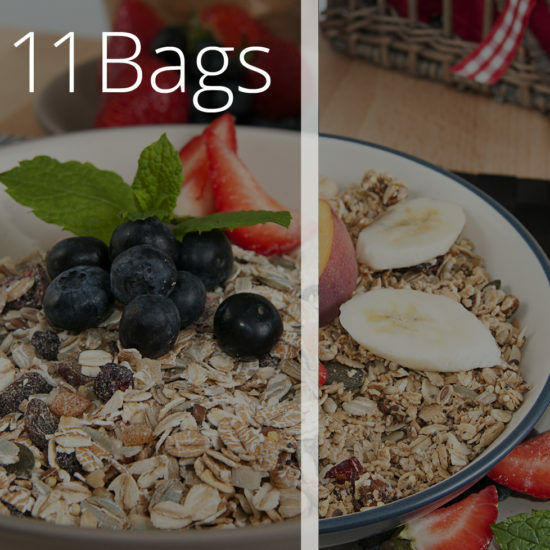 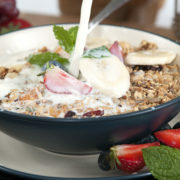 Select 11 products you would like from Lucy’s Granola & Mollie’s Muesli. 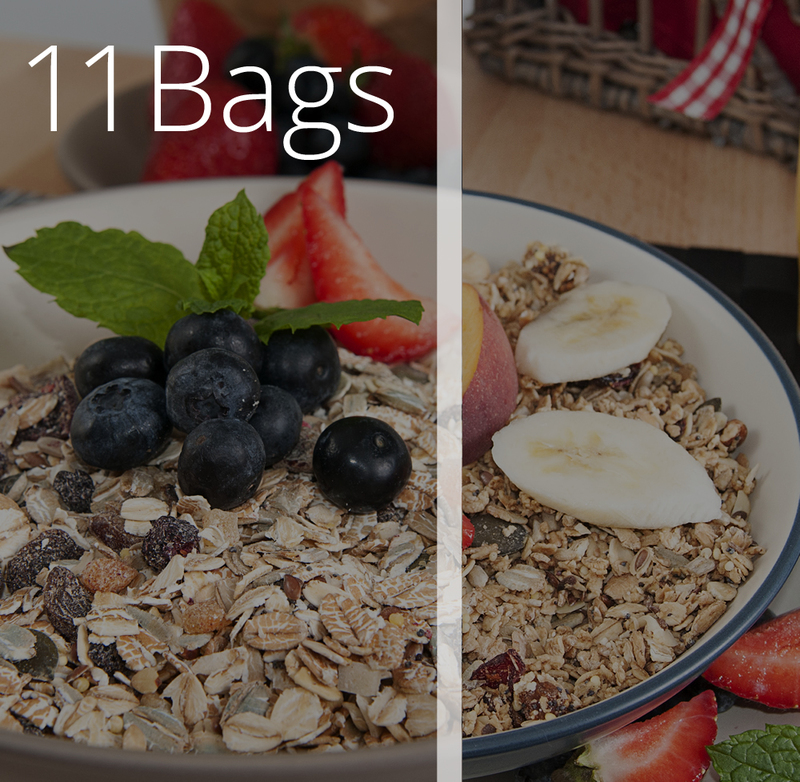 11 x 600g bags provides 220 portions. Based on this purchase each portion will cost €0.33 per day, a saving of €70 against purchasing 11 bags separately.